The global food system is the largest emitter of greenhouse gases to the atmosphere, contributing nearly one-third of the total. Increasing food production can have multiple environmental impacts, including on greenhouse gas emissions, water resources, biodiversity, carbon sequestration, and other ecosystem services. Nitrogen can have adverse consequences when used in excess quantities or poorly managed. 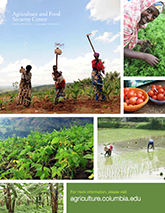 As Africa rapidly expands nitrogen use to achieve food security, it is essential to learn from past experiences and promote farming strategies that minimize adverse environmental impacts but do not compromise food production. Technologies exist to reduce the negative consequences, and some agricultural intensification strategies can even result in a net sequestration of carbon. Rural livelihoods in the tropics depend on agricultural landscapes and the products and other ecosystem services they deliver. 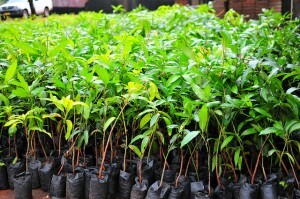 Landscaping management such as tree planting on farm and restoration of key areas can help stem soil erosion and water runoff, restore soil fertility, and provide fuel wood. The AgCenter is focused on identifying strategies to manage landscapes for multiple objectives and encouraging the long-term adoption of practices that result in these synergistic outcomes.